I've owned the original Descent (non-i) for many years and it has been trouble free. I recently picked up a used Descent i that was non-operational and in need of repair. After replacing some components, I got the sub up and running and it truly is a gem. The Descent "i" has much nicer aesthetics than it's predicessor. The metal grills are superior, as is the overall craftsmanship of the cabinet. The nicely finished top cover w/ recessed controls is nice and easily accessible. But the internal components is where the money is at. Compared to before, the new unit has 3 separate amplifier modules that put out more power than it's predecessor. 250w RMS x3 to be exact. The unfortunate thing about this sub is that with the added complexity comes added cost. And, should the system ever fail - its more difficult to troubleshoot *and* more expensive to repair. 3 drivers, 3 amplifiers, servo control, etc. I believe this is why Martin Logan switched to 2 drivers with their new Balanced Force subs. They were able to do more with less. The sound is quite good, you can tell the increased power puts out a bit more sound than the previous Descent. Even though these are 10" drivers, they really hit low and with great accuracy. I've read comments online where some people prefer the smaller 8" drivers of the Depth. After owning and listening to both, I think the Depth is limited by the small size of it's drivers and cannot compete with the Descent. If you're looking to reproduce 20hz, this sub will do it. The weakness of the Descent (in general) is the total output is limited from the smaller 10" drivers. Even though they have good excursion, if you're looking for truly room-shaking bass, you will either need a sub with larger displacement -or- multiple subs. This is why I run (2x) Descent subs. One thing I would like to mention is the servo feedback and the Balanced Force design. I will say that the opposing driver configuration is fantastic and necessary for all high-output, high-displacement subs. It keeps the cabinet stable and prevents it from walking. If you put a glass of water on top of the sub and crank the volume, you'll be hard pressed to see any ripples in the water. As for the servo control, I am skeptical as to how much an audible difference it actually makes. I think its more used as an limiter than it is for sound quality. Ironically, servo feedback is not found in their new Balanced Force 210/212. 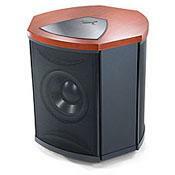 And there are plenty of high-end subs that do not rely on servo feedback. One thing I really like about both Descent subs is that the amplifiers are extremely efficient. Its unreal how little power these subs consume, when idle and when in operation. I leave the amp ON all the time (as opposed to standby) and it barely consumes any electricity. Even the power protect relay is practically silent, you barely hear it when physically turning the power on with the main power switch. In terms of dollar vs value, the Martin Logan products have always been unjustly expensive, and it seems their pricing keeps climbing up and up. I have never been able to justify the costs of buying their speakers new. At used prices however, their products are of tremendous value. They are built well and last decades. More importantly, Martin Logan does a good job of providing parts and service for their legacy products which is reassuring for frugal audiophiles like me who still want high quality sound at low-dollar pricing.